Blowing fibers into a mesh tube is the latest way to make yarn, and several manufacturers have brought out their own blown yarns over the past couple of years. 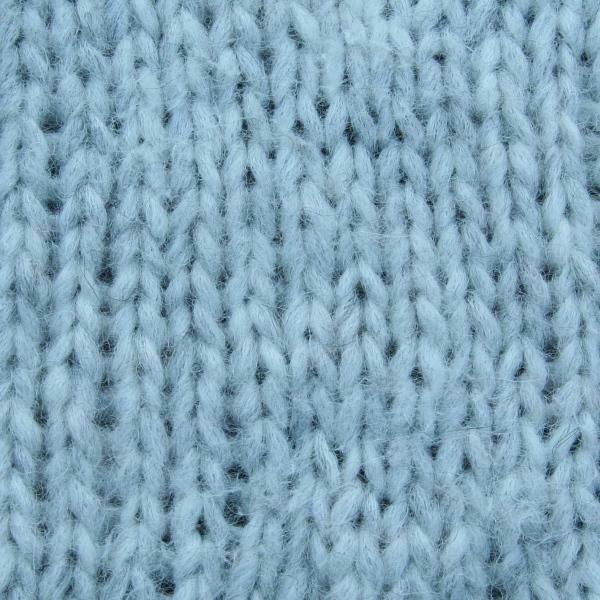 Manufacturers tend to emphasize how light and airy the yarns are. But what I find much more interesting is that blown yarns have no twist. 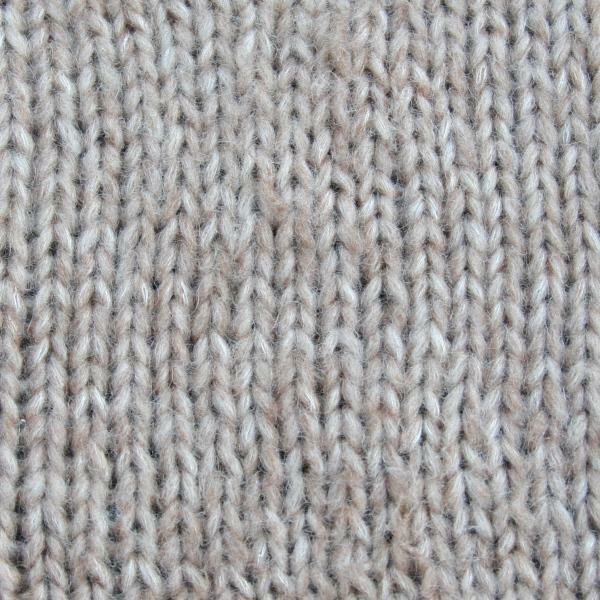 In theory, blown yarns avoid the traditional trade-off between durability and softness. 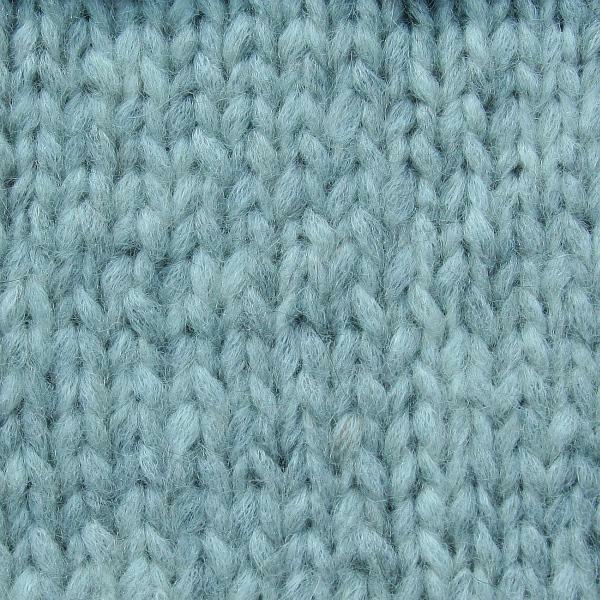 In theory, blown yarns should be soft and durable. A traditional yarn has to strike a balance between more twist for durability and less for softness. Blown yarns seem to avoid the trade-off completely. The fibers in a "blown" yarn are held in place by the mesh tube, so should feel soft and also be durable—they shouldn't lose so many fibers as pills. In theory, blown yarns should not unwind or split when crocheting. 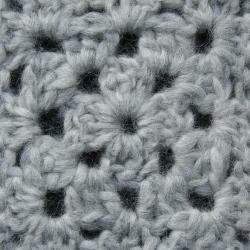 Crocheting causes traditional S-twist yarns to unwind as you work with them and so split more easily. Since blown yarns are not twisted at all, they shouldn't split whether you're knitting or crocheting. So that's the theory, but is it true in practice? I swatched five different blown yarns, and, for comparison, I also swatched a traditional plied yarn and one with chained construction. After I'd taken photos of my swatches, I performed a pilling test, by rubbing each swatch vigorously between my knuckles for thirty seconds, and then took a new set of photos. 1. They were enjoyable to use and didn't split. The blown yarns were really fun to use. They weren't too fluffy, didn't split at all, and I never got my needle caught in the mesh tube. Even the synthetic versions seemed to be airy enough that my hands didn't over-heat while working with them. I hadn't expected to enjoy knitting and crocheting with them quite so much. 2. They lost less fiber in the pilling tests. The swatches made from blown yarns stood up well to the abuse I gave them in the pilling test—better than the plied GGH Andania and the chained Rowan Lima. The Andania produced a cloud of fiber on the surface of the swatch at the end of the test. 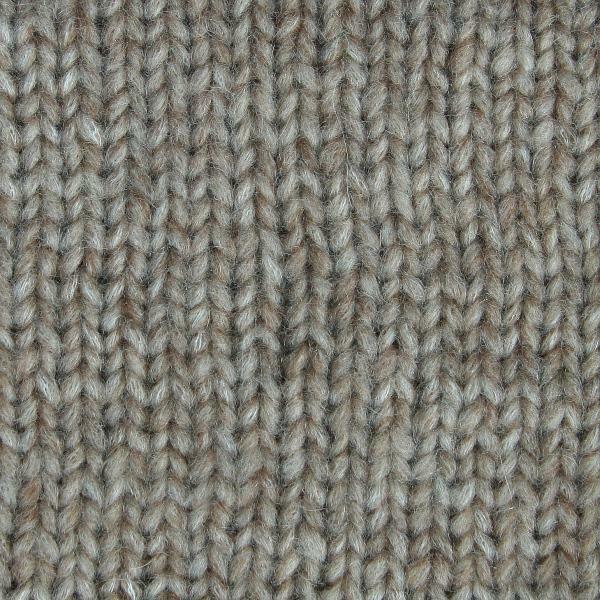 Again, it's important to compare fiber to fiber: fine fibers like alpaca pill more than a thicker fiber such as acrylic. 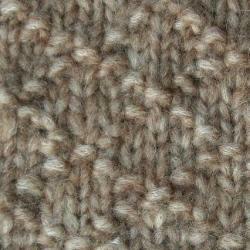 The blown yarns made of alpaca did pill, but significantly less than the plied yarn. 3. The blown yarns felt softer than an equivalent plied yarn. 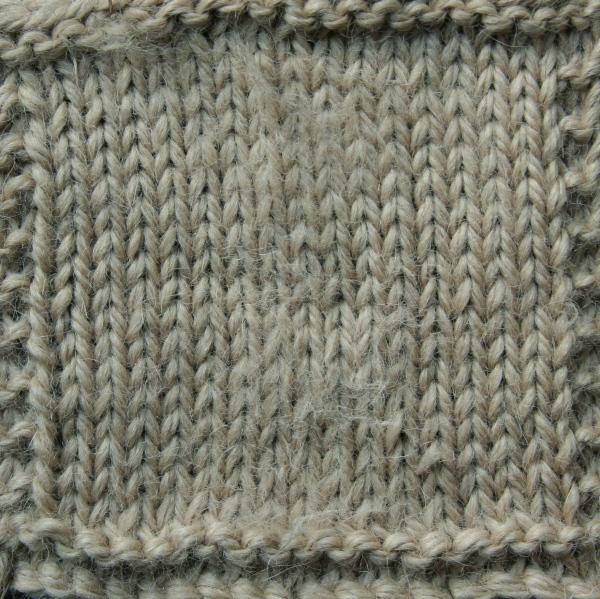 The softness of each yarn depended, of course, on the fibers that it was made with. But the swatches made from blown yarns were less dense, less resistant to the touch, and my hands felt almost immersed in the fibers. The GGH Andania (the plied yarn) was wonderfully soft too, but it was more like a surface softness with firmer resistance beneath. 4. They make good-looking fabric (mostly). I liked how most of the swatches turned out - they gave an even tension, with the slight haze probably helping to disguise my tension inconsistencies too. However, the fibers in my ball of James C Brett Oyster weren't spread evenly through the mesh net, giving a bumpy look to the fabric. I don't know if this was intentional, but I wasn't keen on the effect. 5. They can be used in a variety of techniques. 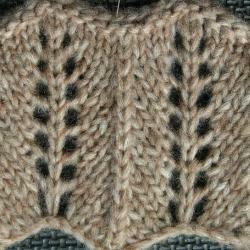 The blown yarns were easy to work, and gave a good effect, with lace, cables and crochet. 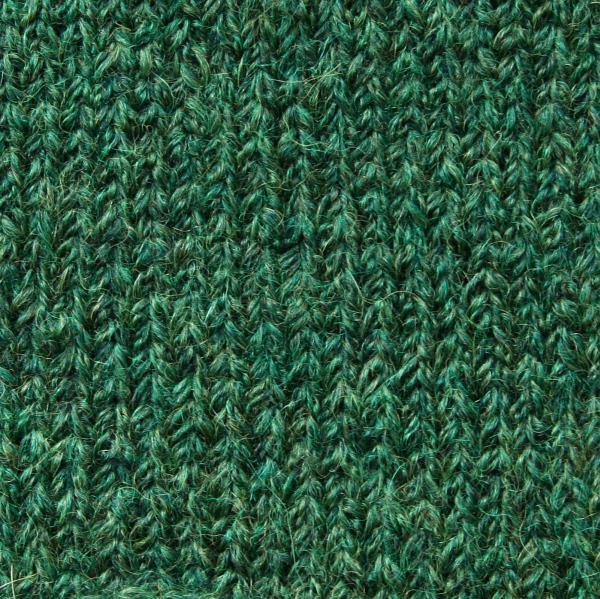 Although I haven't yet tested these yarns out in any garments, I suspect that the jumbled fibers, while lightweight, also trap a lot of air and hold a lot of warmth. I really feel the cold, so this is a big plus for me! 7. They have great yardage. GGH Andania, a plied yarn, has 50m per 50g; its nearest blown yarn equivalent that I can find in gauge and fiber content is Austermann Siberia, which has 110m per 50g. It's a similar picture for all the plied vs blown yarns, with the blown yarns having 30% or more extra yardage than their plied equivalent. So you get more fabric for your money and garments are lighter. 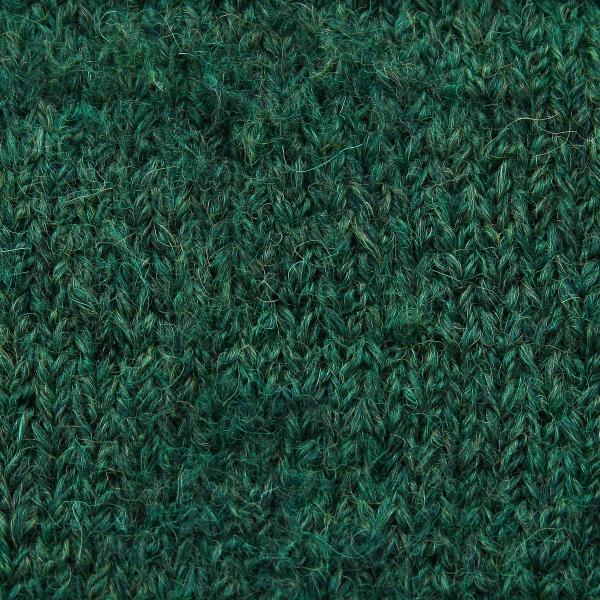 Blown yarns are only available in certain fibers—those with the right properties to make a haze outside of the mesh net without escaping. The net itself is usually made of nylon. Yarns with a silk net are available but they're expensive—beyond my budget! 2. Their fuzziness won't work for every project. 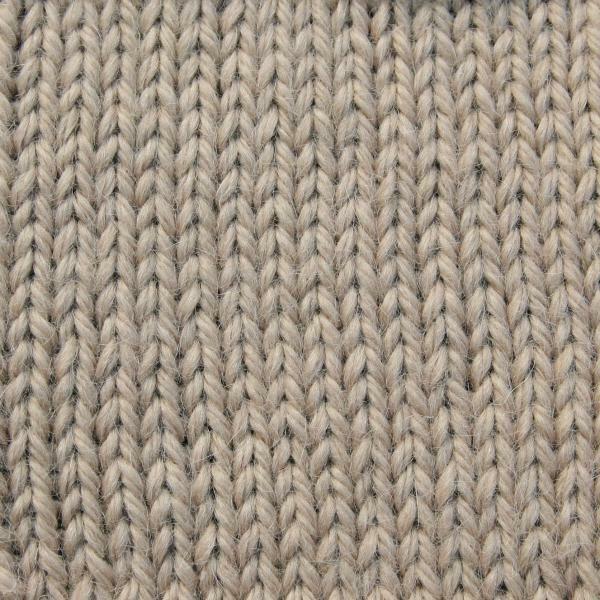 The haze of fibers brings a soft-focus look to the fabric, which will be attractive in some garments but not ideal for many others. I would avoid using them for knit/purl texture stitch patterns. 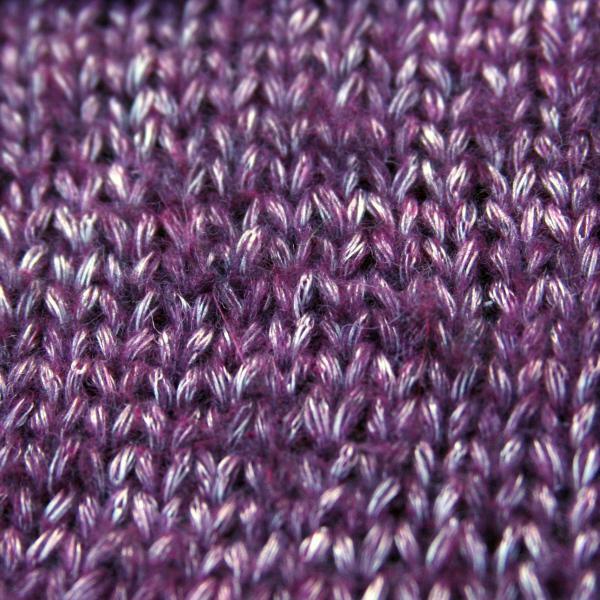 I was initially amazed at the great stitch definition in seed stitch and a diamond of purls pattern, but the stitches collapsed back into the haze of the fabric after blocking, even though I was gentle. The lack of elasticity also made my fair-isle swatch hard work, in that I had to take extra care getting the length of the strands right. 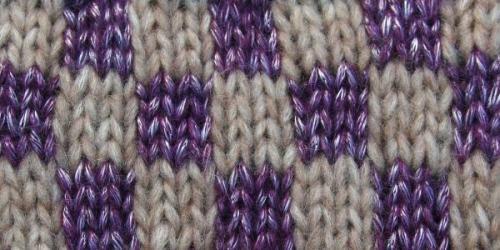 I quite like the look of this swatch though! 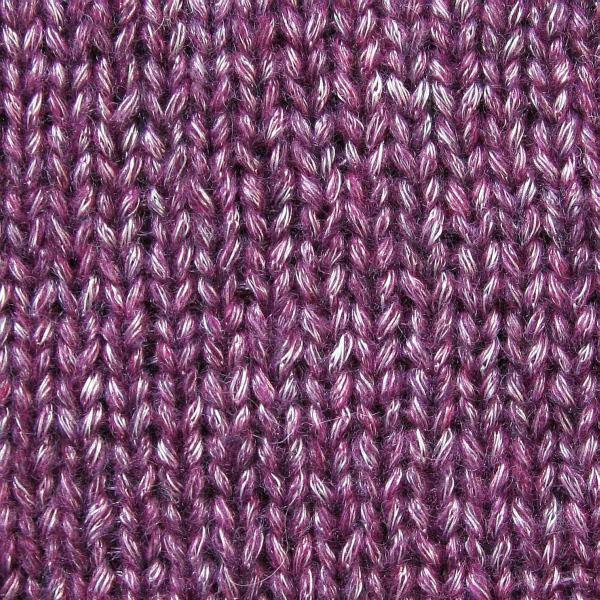 The lightweight nature of blown yarns means that they lack drape, sometimes essential to making a design work. Overall I was impressed with the blown yarns. They were fun to work with and gave an attractive, hazy fabric. 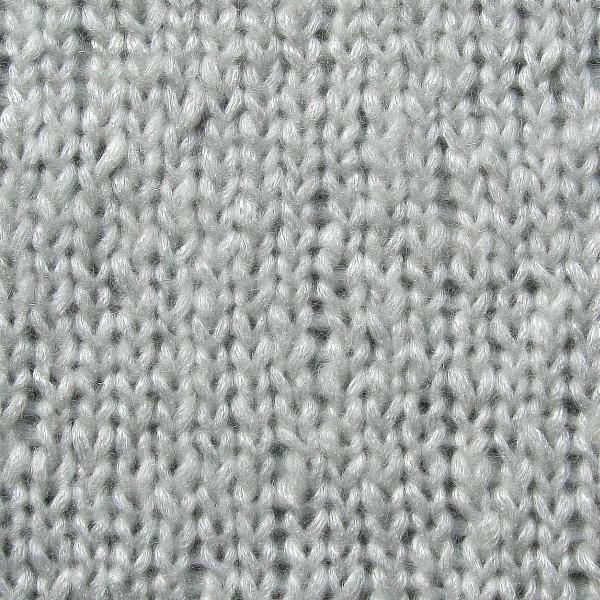 I'm looking forward to using some DROPS Cloud to whip up a bulky-weight cowl and hat. I would also use them for something like a bold-textured, deep-winter sweater. I have one that I use on the coldest days, made in Debbie Bliss Cashmerino Superchunky. It weighs a ton and pills a lot. I still wear it though; it's so toasty warm! It would be great to have something equally warm yet easier to wear. Cardigan in Debbie Bliss Cashmerino Superchunky, with pills! These yarns took me by surprise. I hadn't expected to like them as much as I did. Manufacturers have managed to make a yarn that's softer and more hard-wearing than a plied or even chained yarn while also being enjoyable to work with. As with all yarns, they have their strengths and weaknesses, but I'm glad to add them to my knitting toolkit. 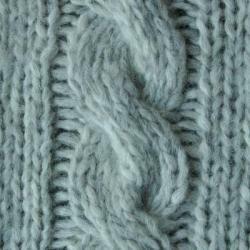 Blown yarns have their own texture category on YarnSub, so it's easy to find them.